To start a new life, to be reborn is a gift. He was gone, forgotten to an afterlife of memories and sunshine. Living out his days in a blissful, candy-coated purgatory. He could have stayed forever, but something compelled him to take his beauty and share it again with the world. His understandings would melt away in his hands if he did not connect them to the world. All at once, he knew that his hideout was only a weigh station for the soul. He served his time, shed all the excess scorn and terror that had weighed on him for so long and learned how to breathe again. The breath he drew in, once composed of bitterness and smog, was filled with life purity and essence. He was new. An infant in the frail body of a man. The past no longer hung around his neck. As he walked the chilly streets of Manhattan, peering at the billboards that once echoed his name, he knew what it was like to be alive and part of the world. The world he breathed in tasted clear. The filth and struggle of a world drowning in its own tears no longer beat on his brow. He looked in store windows. He did not long to buy or own or consume, he simply wanted to know. An electronic store filled with gadgets to capture the past on screens. A clothing store promising connection and love. A restaurant screaming dreams of fulfillment. There was no sweetness in the pitch anymore. He only felt curiosity and wonder. He was so swept up in the race towards what our world believed to be meaningful; he lost sight of the truth within himself. To walk the streets of New York City without wearing it’s pace and frustration was divine. He could notice its push and pull, but not be swept away by it. 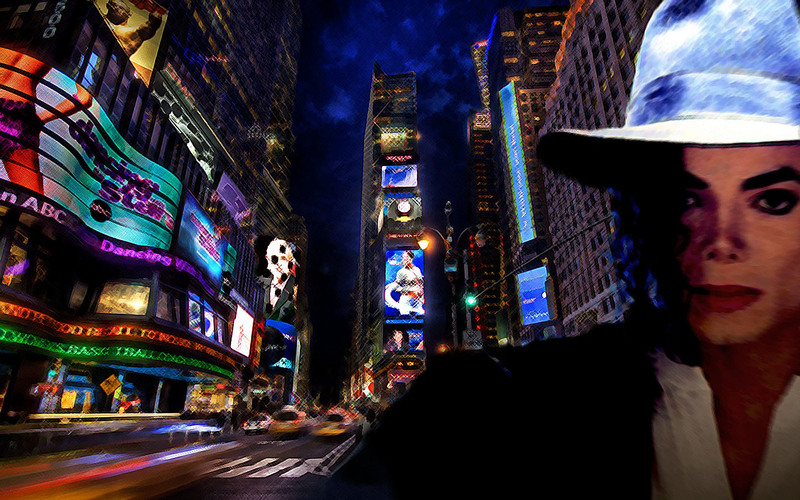 As he walked into the middle of Times Square something in him knew to fear its power. He remembered what it was like to think that the energy of the city belonged to him. Once, he believed that they were his. Only later did he understand that he was theirs. And that was when he began to die. But, this death of his was a thing of the past. He was focused on the light now. He had found something, now he wanted to share something. It was part of a greater process. He was a vessel that now belonged to The Ocean. He felt the subways pull beneath his feet. His eyes closed and he could feel the motion. As if he wasn’t but still was. As he emerged from the acrid, putrefied heat of the subway station into a cold sea of noise and light, he tucked his hands into his hooded sweatshirt. All of the times he had vanished under a surgeon’s knife in order to hide from them or from death flashed through his mind. So much agony, but finally he had been created anew. The final surgery last year, the one that brought him back to the way he looked in the 1980s, had allowed him to finally, once and for all accept himself. The pale flesh of sorrow had vanished. The veil of terror had been lifted and his soft, boyish innocence had returned. Science was not the answer to his pain, but it allowed him to recapture a small piece of the self that was lost to the mob. New York City was beautiful in all of its stunning chaos, but he knew he could not last here. Eventually, it would become his skin and the unendurable sadness would return. He needed to go somewhere where the illusions weren’t so powerful. He needed to start small. After all, this was his period of spiritual rehabilitation. While trailing around the Port Authority Bus Station to keep warm he came upon his next move. He’d just go somewhere. He would take the next bus that was leaving. Wherever the universe might take him. He bought a ticket for some town named Zenith somewhere in Ohio. It left in 15 minutes. He walked through the oddly designed belly of the station. Past all of the portals that looked like they were created to service Martians on their way to Venus. Past the lost souls stumbling through the stupor of an endless night. Past the families huddled around their bags on their way to a some distant, sleepy Somewheresville. Past the shimmering advertisements filled with happy people eating perfectly symmetrical meals and fighting the never-ending battle against hair loss. Past all of the needless suffering and itinerant wandering. Onto a bus disappearing into the darkness. Into a reawakened future. This entry was posted on November 22, 2011, 1:33 PM and is filed under The Resurrection of Michael Jackson. You can follow any responses to this entry through RSS 2.0. You can leave a response, or trackback from your own site. Hey Spilett its Mitch Hinkle. I’m still in treatment here in Los Angeles and should be back by next semester. How are you? How’s everybody at Howard? Still listening to plenty of Wu-Tang so don’t worry. Give my regards to Sylvia, Taryn, and Ziggy. Peace be with you. P.S. Have you put any Battle of Evermore references in your tests? Mitch!!!!!!! So glad to hear from you. We (I strongly included in this) miss you. I can’t wait to see you again. Nobody finds my Beatles references even remotely amusing anymore. I am just watching a movie about your boy Danny Green that I put in my queue when you mentioned him to me. What a character! I got your message the other day, but hadn’t had a chance to respond. I sent along your hello to the girls. They said they missed you. It ain’t the same without you up here. Get well soon, bro! No Battle of Evermore references, but I mentioned Syd Barrett the other day and collected some blank stares. I’ve been telling everyone who will listen that The Beatles are nothing but The Dave Clark 5 with a good publicist. Again….blank stares! Watch the hipsters out in LA. I was in Target the other day and realized that they never have hipster clothing in anything but small or medium. Are there any hipsters over 130 pounds? Is there some sort of hipster weight cut-off I don’t know about. LA hipsters are supposedly dangerous. Gangs of kids running around stealing tee-shirts with pictures of “Spam” and “Jello” on them. Black market headband sales. Mark Knopfler look-alikes on every corner. Be safe! So glad to hear from you!!!! !